The preferred drink in this household is water — ice cold! But because water can be a bit plain, adding a little zing can make it interesting again. Usually we add a slice of lemon or lime, some mint leaves or slices of fruit. This always gives the water a fresh and light taste that can really compliment a meal and/or leave you feeling energised. Of course during the summer we all need the help of ice cubes to keep ourselves (and water) cool longer. When I’m really hot I love to combine the fresh lemon slices with ice cubes, and today I’d like to show you how I do it plus a few more ideas for flavoured ice cubes. First I’d like to recommend a great tool for making ice cubes: silicone moulds. These flexible kitchen gadgets make it so much easier to remove the ice cubes. Just be careful when filling them up and placing in the freezer because they can easily spill. My favourite silicone moulds to uses are ones with fun unique shapes and large ones so I can make big ice cubes. They look pretty in the cups too. Obviously we need water (I use filtered or bottled) and fresh lemons or limes. Make sure that the fruit is throughly cleaned because we will be leaving the outer skin intact. I like to cube the lemons or limes then place in each mould, then fill up with water and freeze. The process is the same for any other fruit or herb or flower you may choose to use. Nothing to it! Here are more ideas to transform ice cubes into pretty and interesting ones. • Instead of using the whole lemon/lime, juice it and freeze the juice. You can dilute it a bit with water if you like. • Mix lemon/lime with lavender for a delicious citrus-floral taste. I love the combination and use it for biscuits. • Mix lemon with mint and use ice cubes in iced tea. • Use that last splash of juice and then serve the ice cubes with sparkling water. • Coffee ice cubes are one of the most awesome ice cube flavour creations, this one by Honestly Yum is a must try. What about you, do you have a special way you like to prepare your ice cubes? Very clever, tasty and cute idea. And I have the same cannelé mould :-) I have a mould to make vodka shooters with, the glass is ice. 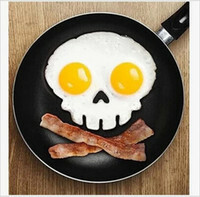 G’day What a fun idea Nancy that would brighten up any breakfast or party! Smart idea! Will start doing this, too! Thanks for sharing! Why have I never thought to make lemon ice cubes! Such a simple idea, and a wonderful one. Love this! Thanks. As always you have brilliant ideas and here’s another one! Love it! I have several silicone molds that I use for my cake truffles I’m going to try them with some citrus fruits. Thanks for the idea and the lovely pictures. I have been doing this for years. I found lavender flowers at our local Whole Foods I add them to my lemon cubes, they are great if you like flavored ice tea try squeezing a peach and then cute up what’s left and make peach cubes. You can also use some peach juice from a can. You can make all kinds of cubes. Use your imagination and have fun.